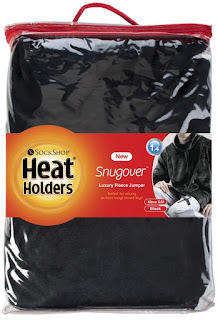 I recently received a Heatholders Snugover and pair of thermal socks to review. Being the only person in our house who feels the cold these were perfect for me as everyone else will be walking round in t-shirts and I will have a jumper and body warmer on and still be cold. It doesn’t bother me putting lots of layers on; I was brought up in a cold, draughty farmhouse with no central heating and if you were cold you either sat in front of the fire or just wore more clothes. I am spoilt now living in a centrally heated house but if there is only me in the house it hardly seems worth putting the heating on so still rely on jumpers to keep warm. The Heat Holders Snugover arrived just as the weather changed so I was able to try it out immediately. The luxurious Heatweaver fur like thermal fleece has a 1.4 tog rating to keep you lovely and warm, even on the chilliest of evenings. It has a funnel neck which you can tighten with drawstrings to keep you cosy. I am 6’ tall and I like my jumpers to be long enough to cover my bottom and the men’s L/XL Snugover did just that. It was a good length and the drawstring enables you to custom the fit to your body shape. The Snugover has two front pockets; they are perfect for keeping your hands warm but not deep enough to really put anything else in, apart from maybe a tissue. They weren't secure enough for a phone as whenever I moved it fell out. 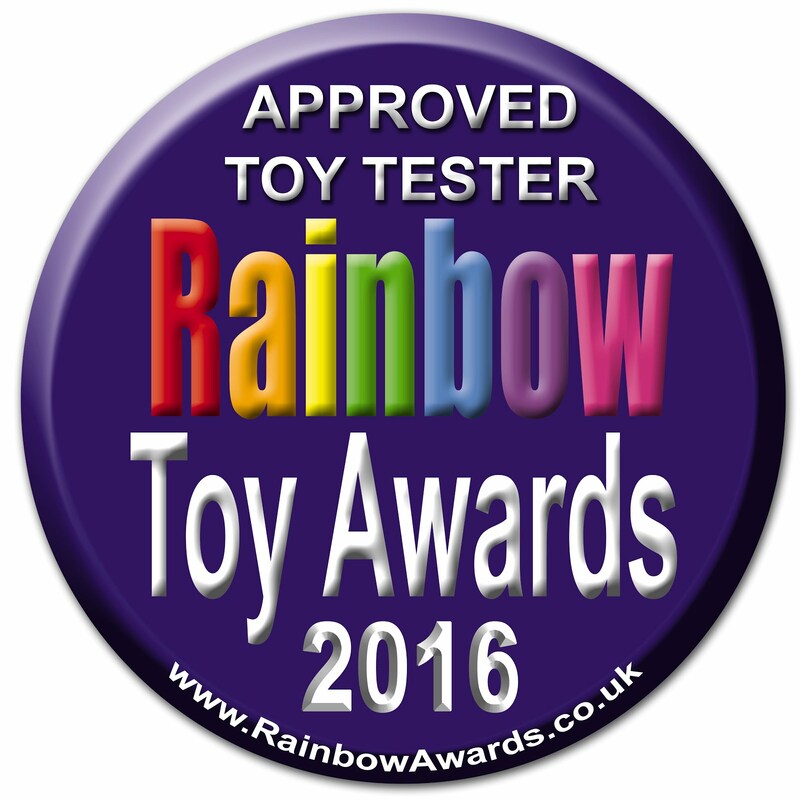 The snugover is quite baggy but this means you can wear a couple of layers underneath. I did find the drawstrings let the jumper down, there was nothing to stop the cords from going inside the jumper and on more than one occasion I lost one end of the cord and had to try and pull it out using a safety pin. I ended up tying knots at the end of the cord to try and stop the cord from disappearing through the hole, which worked. Designed for warmth rather than style the Snugover isn’t a jumper that I will be wearing out of the house but it is perfect for popping on whenever you are feeling cold. You soon warm up once you are wearing it and it will get a lot of use this winter. I will also take it next time we go camping as I can either wear it for bed or just in the evenings when it starts to get chilly. Luke's favourite socks are his Heat Holders so when I received a pair for myself I was finally able to understand his excitement about them. He wears his in his wellies or just to keep his feet warm in the house. On initial inspection they look like any other thick black boot sock but on closer inspection they have a lovely fleecy inner face to the fabric. This soft brushed inner maximises the amount of warm air held inside the sock for all day warmth and comfort. The socks have tog of 2.3 which means your feet are kept lovely and warm, even on the coldest days. 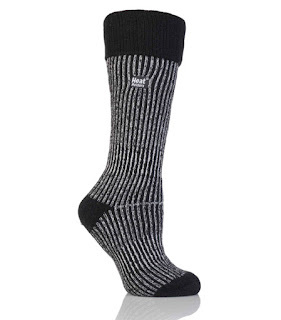 The socks are quite thick so best suited to wearing in wellies or boots. The socks wash well, Luke has had his for a couple of years and they still look as good as new even though they have been worn and washed many many times. If you want to save a bit of money on heating this winter and still stay warm and cosy why not knock down the thermostat a couple of degrees and get a HeatHolders Snugover and a pair of thermal socks and you will be toasty warm this winter. I received the Heatholders Snugover and a pair of Heatholders thermal socks for the purpose of this review but all words and opinions are my own.